Eva joined our practice after being hired on as our practice manager immediately following the completion of her cardiac clinical rotations in December of 2016. 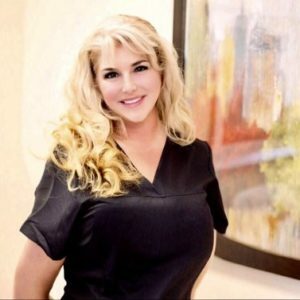 She has a long history of insurance administrative work with several medical practices, as well as hospitals in the Southern California region. After changing careers, and pursuing her dream in the medical field, she received her Diploma in General and Vascular Sonography from MTI College in 2015. She then continued on in her studies at Adcon College where she received an additional diploma in Cardiovascular Sonography in July of 2016. Eva manages our cardiology practice, as well as performs studies on our cardiac patients. On procedure days, you will find Eva assisting Dr. Taghizadeh with his vascular procedures.